Buy your Tickets today for the World of Art Showcase to attend the most amazing art show at the majestic Wynn Las Vegas on December 20th -22nd 2012. Never before has any one art show provided the presence of the artists along with their works in so many genres! *Access from 11am to 7pm to the entire event space to see and purchase art. •One Of The Most Uplifting Shows You'll Ever Go To! 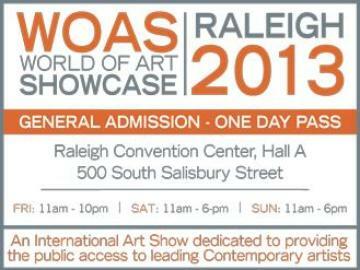 •Featuring Over 70 Artists In Person With Their Master Artwork! •Sprawling Over The Entire Wynn Luxurious Convention and Meeting Space! See H.R. Giger, Nelson Shanks, Daniel Greene and over 80 Master Artists present with over 2000 original masterpieces. See and purchase master quality artwork. *Unlimited access to the Grand Ballrooms containing thousands of contemporary master paintings from over 80 of the world's top artists. All works will be available for sale and most artists will be available to talk to. *You will receive for on line orders an eTicket in your email. Please bring to the showcase with you to be scanned for entry and receive a wrist band to be worn at the day of the show. If you buy a three day package you will get three wristbands.